The SeaChordsmen is a Barbershop Chorus of 50 members who perform barbershop harmony in public and private performances. 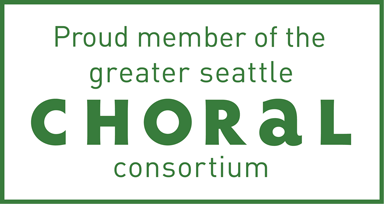 The Chorus also aids youth music education through their support of the Ballard High School music program and the Harmony Explosion Northwest youth music program. The organization provides annual support to the Pike Place Senior Center and Food Bank, Mary's Place, and Path with Art as a way of giving back to their community. Please click this link and give BIG to the SeaChordsmen.